NZMI is a small but successful medical scanning business. Their experience and business model puts them at the very top of the Nuclear Imaging market, however, increaseing competition in this field has meant that if they want to remain at the top they needed their brand to clearly show why they are the best. 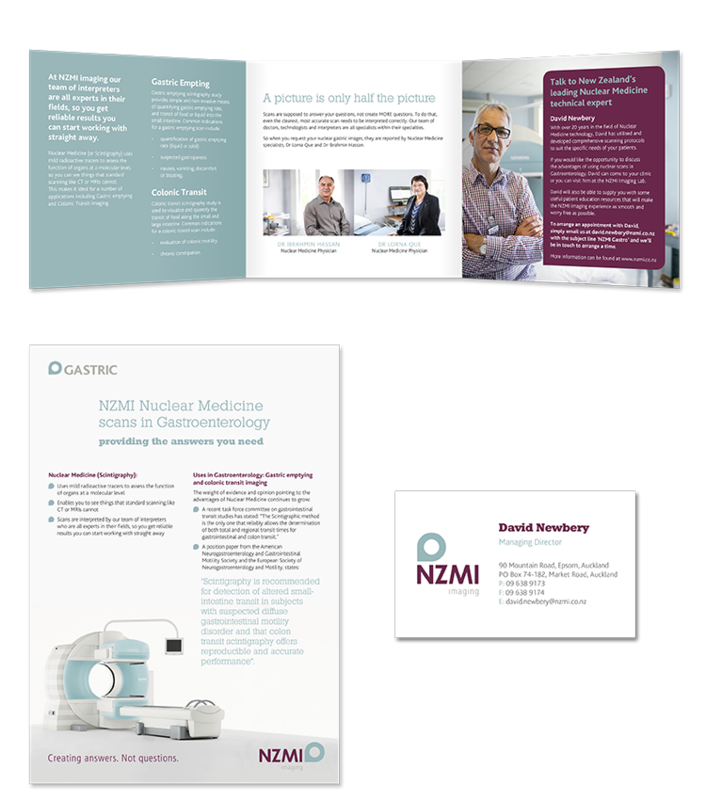 A top to bottom rebrand gave NZMI a look that spoke of clinical professionalism and experience. Mailers and leave pieces highlighted the benefits of nuclear imaging the different clinical applications. Added to this, NZME invested in patient resources such as a patient friendly website and patient brochures that guided patients through the process and helped put them at ease. Channels: Website. Patient resources. Direct Mail. Sales resources.